With over 200 million active users, Valve’s Steam service is the world’s largest digital game platform. Valve is making a major change to how it decides which games are allowed on its platform: Going forward, all games are allowed on Steam. “We’ve decided that the right approach is to allow everything onto the Steam Store, except for things that we decide are illegal, or straight up trolling,” Valve executive Erik Johnson wrote on Wednesday. Valve is building tools to allow users to self-select what they see on the Steam Store. 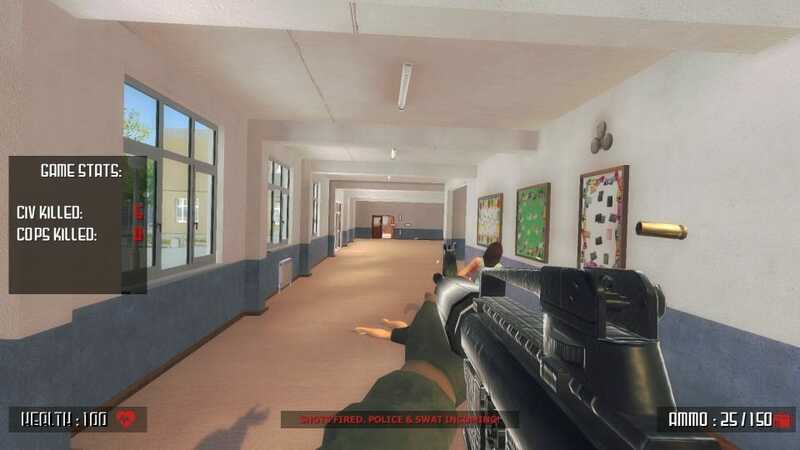 It all started in late May, when images of a game named “Active-Shooter” went viral. The images, like the one above from the game, depict a player taking on the role of the shooter in a school shooting. The game tracks how many cops you’ve killed, as well as “civs” – as in, unarmed civilians. As intended, the game sparked controversy. Parents of victims of the shooting at Marjory Stoneman Douglas High School in Parkland, Florida, spoke out against it. Florida Senator Bill Nelson called the game “inexcusable.” A petition with hundreds of thousands of signatures was put together to have the game removed from Valve’s Steam Store. In so many words, the game’s publisher was causing trouble before any of the recent controversy kicked off. But the “Active-Shooter” situation brought a new problem to the forefront: How should Valve police which games are allowed on its platform? ValveThe Steam Store is available on PC, Mac, and Linux. In the case of “Active-Shooter,” it seems that Valve would have banned the game regardless for “straight up trolling” – after all, Valve characterised Acid as exactly that in its statement last week. Never want to see games from a certain publisher, or of a certain type, or games with “adult” themes? These new tools intend to allow that. Game developers and publishers will now have to include more detail about potentially controversial elements of their games, Johnson said, as part of the new submission process for games on Steam. For the time being, however, nothing is changing – Valve is still building the tools for Steam that will make this new policy function.